The Montessori Centre continues and expands the work of the academic centre for Montessori pedagogy of the University of Muenster. Since 1993, the research archives of new education with the main emphasis on “Montessori pedagogy” have been in place under the guidance of Prof. Dr. Harald Ludwig within the library of the department for educational science (Bispinghof 5/6, house E, room 042). In these archives technical literature on Montessori pedagogy is collected, among which one can find unpublished documents as well. With more than 12.000 titles by now, it is one of the most extensive collections worldwide. Two card indices of authors as well as a differentiated systematic index open up the material. Unfortunately, only part of it is gained access to online at the moment. A completion of the online index is planned. The research archives in room 042 are currently only accessible on appointment. Enquiries can be made via the following e-mail addresses: eingang@montessorizentrum-muenster.de or ludwigh@uni-muenster.de. In the course of the winter term 2010/11 a fixed weekly office hour of the research centre is supposed to be introduced for students and other interested parties. The literature cannot be borrowed, but can be retrieved and copied. The archives are used by scientists from Germany and abroad for sometimes longer visiting research fellowships, especially by our international cooperation partners. A further project is the realization of a training course with the aim of holding the Montessori diploma. The Montessori research post is primarily responsible for the edition of the English speaking newsletter “Montessori Research & More” of the network Montessori Research Europe (MORE) which co-operates with the organization Montessori Europe. 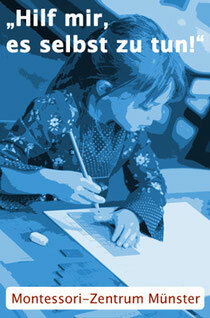 The MORE-Newsletter reports on current Montessori research projects from whole Europe. In the series “Impulse der Reformpädagogik” [Impulses of new education] (almost 30 volumes until now), which has been edited by Prof. Dr. Ludwig since 1997, dissertations and other studies on Montessori education and new education are published. Since February 2010, Prof. Dr. Christian Fischer (who worked at the teacher training college in Lucerne, Switzerland before) has been working as a professor for “educational science with the main emphasis on school education: giftedness and individual support” at the university of Muenster. From 2000 to 2005, Prof. Fischer worked in Prof. Ludwig’s area of responsibility, main emphasis “new education/Montessori education” as scientific assistant. In the context of his new area of responsibility, he will establish a “study workshop for individual support and educational diagnostics” in the course of the winter term 2010/2011. Further information on the attractions of the study workshop and on the question to what extent the study workshop offers information and work possibilities related to practice for students and other interested parties of the previous Montessori Centre of the University of Muenster will be announced in due course. You will find further information on the work of Prof. Dr. Christian Fischer here. 1. We edit an established electronic newsletter with current information on Montessori Pedagogy in theory and practice. If you are interested, it can be ordered for free on this internet page (see above, left column). The next issue is planned for the winter term of 2012. 2. 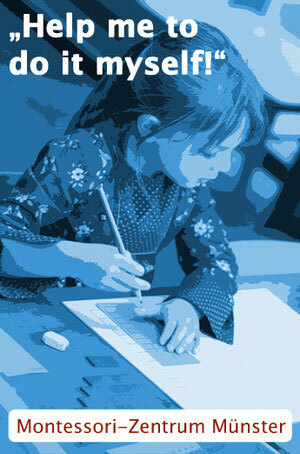 We also offer the international Newsletter in english language from Montessori Research Europe (MoRE). If you are interested, it can be downloaded on this page. You will find it, when you click on Archives. The foundations of the academic Montessori Centre at the University of Muenster were laid by internationally accepted teaching and research work of the professors Dr. Guenter Schulz-Benesch (who died in 1997) and Dr. Paul Oswald (who died in 1999) as well as the professor emeritus Dr. Hildegard Holtstiege, all of whom worked for several decades on Montessori education. In 1992, the university posted a job in the area of “educational science with the main emphasis on new education/Montessori education”. In 1993, Prof. Dr. Harald Ludwig was appointed to this post. This job definition provided Prof. Ludwig with the opportunity to consolidate and extend existing teaching and research possibilities on Montessori education in terms of an academic Montessori Centre. In the context of the appointment negotiations, Prof. Dr. Schulz-Benesch’ unique private research archives, additional Montessori material and further literature were gained by the university. Furthermore, the room was extended. It was continued in the aftermath. Especially, a worldwide international network was established with international academic cooperation partners, which will also be pursued by the Montessori Centre Muenster. After Prof. Dr. Ludwig had retired in 2005, Dr. Reinhard Fischer, who deceased in February 2010, was head of the department until he retired at the end of November 2009. Currently the Montessori Centre is reorganized fundamentally as described above.